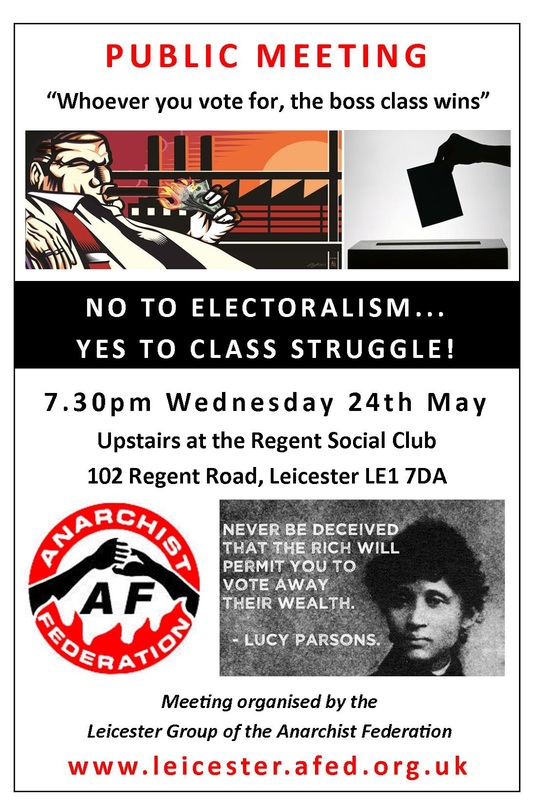 No to electoralism, yes to class struggle! And just to tempt out of towners, it's a few minutes walk from Leicester train station, they do a nice pint at the Regent and food is available. I can personally recommend the chilli.